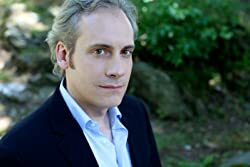 CHRIS ORCUTT has written professionally for over 20 years as a fiction writer, journalist, scriptwriter, playwright, technical writer and speechwriter. He has also taught high school U.S. history and college writing. At Baruch College, City University of New York, Chris received the Distinguished Teaching Award, and as a newspaper reporter he received a New York Press Association award. Chris is the author of the critically acclaimed Dakota Stevens Mystery Series. The first novel in the series, A REAL PIECE OF WORK, achieved a #1 top-rated ranking in Literary Fiction for Kindle, and #4 in Mystery. IndieReader writes of the novel, "Action, lust, danger, style and witty repartee, Orcutt's A Real Piece of Work is a work of art." The novel received similarly strong critical acclaim from other reviewers, as did the sequel, THE RICH ARE DIFFERENT. The third installment in the series, A TRUTH STRANGER THAN FICTION, debuts on January 1, 2015. Although Chris is very proud to have created the Dakota Stevens novels, he considers himself first and foremost a general practitioner in fiction writing, and has written a great deal of non-genre fiction. He has had well over two dozen short stories published in literary journals, and his short fiction has won a few modest awards, most notably 55 Fiction's World's Shortest Stories. Chris's short story collection, THE MAN, THE MYTH, THE LEGEND, was selected by IndieReader as one of the Best Books of 2013. Please enter your email address and click the Follow button to follow Chris Orcutt!